After receiving over 5000 votes, we are now pleased to announce the winners of the 2017 British Jazz Awards! 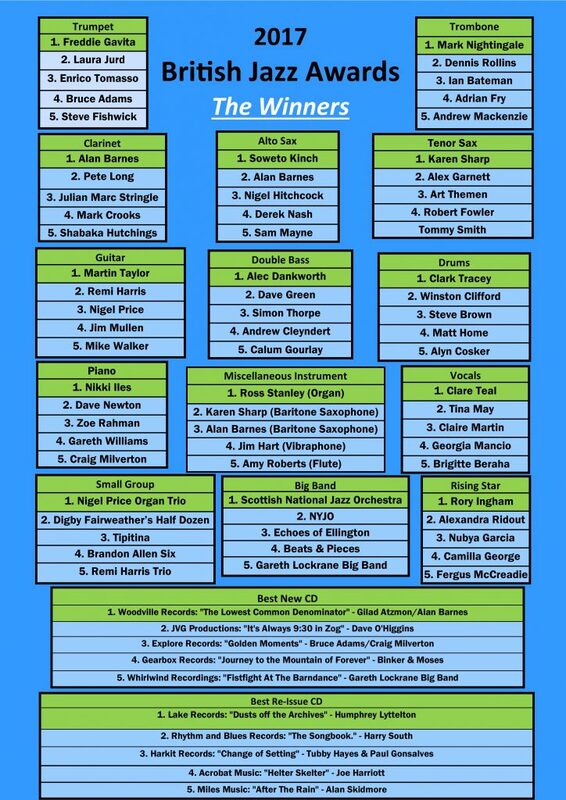 Now in their 31st year, the British Jazz Awards are the only poll that gives jazz lovers up and down the country the chance to vote on who their favourite musicians, bands and albums have been in the last 12 months. In addition to the public vote, each year an award is given for Services To British Jazz. This year’s goes to Chris Barber, for keeping a full touring band on the road for nearly 70 years!